Can I buy multiple memberships? If you let us know your requirements by email using enquiry@aimviva.com we would be happy to send you a form to capture multiple members details, and for 5 or more members we are also happy to look at the price. I only want cover for 1-2 weeks can I buy a short term membership? We have researched this but find that for most situations the savings are not sufficient, our club membership works best for people who travel regularly. Even if you are only making a couple of trips over the year you may find our cover better value than specialist insurers if you are involved in Adventure Holidays, Action Sports, Scuba Diving etc. I need to make a claim on the Travel Insurance – what do I do? Please note that the Policy is in the Name of Hong Kong Wellness Ltd – this goes in the field “Name of the insured” the next field which says “Name of Claimant” is where you put your name. Radio Frequency Identification is the use of radio waves to read and capture information stored on a tag attached to an object. A tag can be read from up to several feet away and does not need to be within direct line-of-sight of the reader to be tracked. RFID is useful for tracking items through shops ,or even airports and can be used to facilitate the reading of coded information for example from your credit card or Passport. How much cheaper is Flexiroam than normal roaming? That depends on your home territory. In Hong Kong typical roaming charges are HK$138-HK$168 per day. If you haven’t signed up for a roaming day pass then charges can quickly escalate. With Flexiroam typically 100Mb which should last the average user for a day is between US$1-2. If you need more data it is easy to top up. Is the Flexiroam sticker safe to use? Flexiroam have over 1 million SIM cards in circulation. The system is safe and efficient. Should I still buy additional cover? We think the level of cover we have provided should be sufficient but if you are travelling with specialist equipment such as camera or sports gear then you may want to speak to an insurance advisor. Can I buy insurance cover for my family? We are considering creating a family membership but have not yet done so. 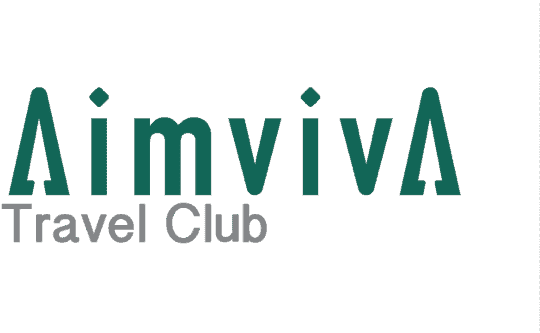 Insurance is only one of the benefits of joining the Aimviva Travel Club and we would need to get the balance right to make this work. We charge HK$1388 per year, which is around US$178 or £128. we believe this is excellent value for the benefits we have sourced. Why can we not have one card with all the benefits on it? The breadth of benefits we provide prevents us doing this. The SIM card would need to be separate, and some of the benefits are provided through apps whilst some are physical products that we need to post to you. If I lose my luggage can I claim on both the travel insurance and the RFID baggage tag? Trace Me, the company who provide our RFID luggage tags are not an insurance company and the US$500 guarantee is simply that, a guarantee that the tags will work. Providing you meet the criteria to claim this money there is no reason why you cannot also claim for lost luggage through the Aimviva Travel Club members travel insurance. Hertz is not the cheapest car hire company why did you choose them? Why are you offering the Smart Stay App, can we not just download this anyway? Anyone can download the Smart Stay app and see what benefits are on offer at different hotels in different cities. The app is usually only marketed to Flight Centre’s business and VIP customers and in order to benefit from the deals on offer the booking must be made through Flight Centre. 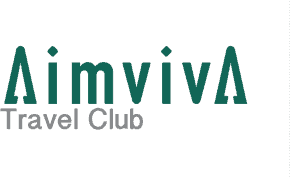 Can I buy the individual elements of the Aimviva Travel Club Separately? We can provide any of the benefits as market rates with the exception of the Travel Benefits provided by Flight Centre and the Travel Insurance both of which are available exclusively to our members. If you would like to buy luggage tags, SIM cards, or additional passport wallets please let us know by email using enquiry@aimviva.com. How long does it take for my membership to start? Membership starts at 12:01 on the next working day after your application is accepted. It may take a couple of days for your welcome pack to arrive but your travel insurance will be valid immediately.